The majority of 2019 has been a nail biter for crypto market participants, as investors, traders, and analysts alike watched and waited for signs the elusive Bitcoin price bottom may be in. Overnight last night, a massive rally occurred, taking the price of Bitcoin through strong resistance at $4,200 to roughly $4,800. 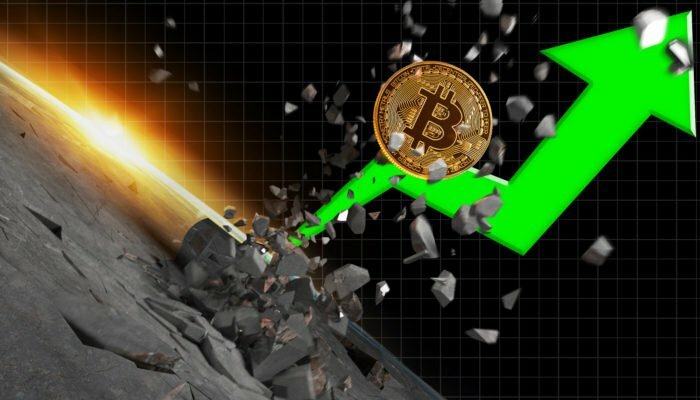 Following the move, the entire crypto community is speculating on what caused the enormous price spike and if the rally signals the end of the bear market. Bitcoin is the king of all speculative assets, and those that trade or invest in the cryptocurrency often speculate over the smallest details. When such a large movement occurs on Bitcoin charts, everyone starts talking and speculating on what the reasons were behind a rally. With such a large rally following over a year of downtrend, the crypto community is buzzing more than usual, trying to figure out what was the fuel behind the powerful upward movement. A Bitcoin April Fools Joke Gone Right? Major media powerhouse Bloomberg believes that the rally may have been triggered by an April fools day joke suggesting that a Bitcoin ETF had been approved by the Securities and Exchange Commission. The idea is that CPU-based algorithmic trading bots picked up on the news, and started buying the asset en masse near important resistance levels, breaking it and triggering a cascade of stop losses. Another theory, is that following the apparent “alt season” that has graced the crypto market with substantial gains over the last few months, highly leveraged altcoins paired with Bitcoin on exchanges may have resulted in a short squeeze. With so many traders in the green on altcoin trades, profits would quickly be taken at the first sign of altcoin pair ratios falling. And with a move as powerful as what was witnessed with Bitcoin, many altcoin trading pairs saw their ratios plummet as much as 10%. As the ratio drops in favor of Bitcoin, stop losses are triggered and traders begin to secure altcoin profit into BTC, which further drives up the price of Bitcoin. In a recent report, one economist claimed that Bitcoin was the fastest and highest rising asset ever, and the crypto’s specifically-designed scarcity is the reason for its ability to climb so quickly. That scarcity is also being pointed at as a potential trigger for the current rally. The truth behind the rally is likely a combination of all these potential reasons, with each claim offering some validity. Altcoins have indeed been on a profit-generating kick, and Bitcoin’s supply has been gobbled up by smart money accumulating at what in hindsight may be the crypto bear market bottom.